Optician, Optometrist, or Ophthalmologist – Which Career Path is Right for You? It’s no secret that the healthcare business is booming. In fact, it’s slated to grow faster than any other professional area from 2014 to 2024. Eye care is a prominent subset of the healthcare industry, and the three primary occupations within this field – optician, optometrist, and ophthalmologist – all boast similarly bright outlooks. If you are interested in becoming an eye care provider, read on to learn about the differences in duties, responsibilities, education requirements, salaries, and prospects for each role. 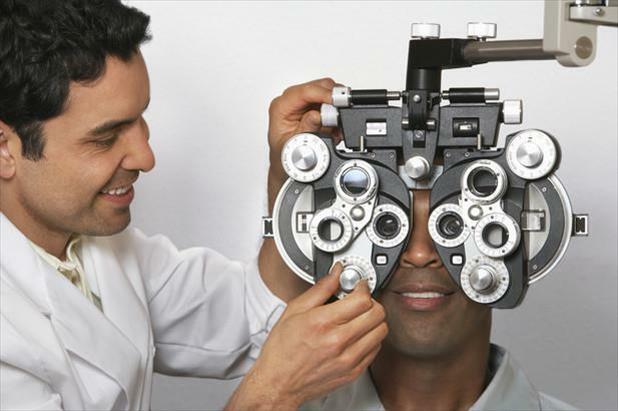 Optician: Opticians work individually with clients to fit them for eyeglasses and/or contact lenses. After reviewing and interpreting the prescription written by the optometrist or ophthalmologist, the optician will measure a customer’s eyes and face, recommend specific frames or lens treatments, and help choose the proper eyewear depending on a person’s vision needs, style preferences, and durability requirements for occupational or sports use. Opticians also educate customers about their eyewear by showing them how to care for their glasses and contact lenses. Additionally, these professionals are often tasked with performing general business duties such as managing sales records, maintaining customers’ prescriptions, and controlling inventory. Optometrist: Optometrists are primary healthcare providers who offer a range of patient care encompassing sight testing and correction as well as diagnosis, treatment, and management of changes in a person’s vision. Some of the problems an optometrist may assess and treat include nearsightedness, farsightedness, and astigmatism as well as diseases such as cataracts or glaucoma. Although they are not medical doctors, optometrists may perform minor surgical procedures to remedy vision issues or deliver pre- and postoperative care by conducting eye examinations for patients prior to or following surgery. Optometrists also supply vision therapy or low-vision rehabilitation and prescribe eyeglasses, contact lenses, and other visual aids. Ophthalmologist: Ophthalmologists are “Eye MDs” and must have a medical or osteopathic degree specializing in eye and vision care (as well as a license to practice medicine). These professionals are highly trained and capable of diagnosing and treating all eye diseases, performing eye surgery, and prescribing/fitting eyeglasses and contact lenses to correct various vision problems. A number of ophthalmologists also actively engage in scientific research to determine causes and cures for eye diseases and disorders. Some ophthalmologists are what’s known as subspecialists, which means that they have completed additional education to focus on a specific area of medical or surgical eye care. Common subspecialties include glaucoma, retina, cornea, pediatrics, neurology, and plastic surgery. Digital Journal of Ophthalmology – What are the Differences Between Ophthalmologists, Optometrists, and Opticians?